Lancashire has some spectacular wedding venues that will not disappoint. We have selected 20 stunning venues that all offer something for everyone, from Hotels to Mansions to Barns. So whether you’re having a small intimate wedding or a large grand affair Lancashire will have a perfect venue for you. Mercure Blackburn Dunkenhalgh Hotel and Spa is a wonderful place to celebrate your special day, it offers plenty of options where your ceremony and reception can take place whether it’s a small intimate wedding or a large grand affair this venue can cater for you. The function rooms are decorated to a high standard and offer a blank canvas to be able to get creative and add your own decorations. The Gardens are perfect for your drinks reception and photo opportunities. There is ample space for guests to spend a night or two in one of the stylish bedrooms. Get in touch today about booking your wedding here. A lovely wedding venue in Lancashire that offers a warm and welcoming ambience. The Best Western Hallmark Hotel enjoys superb décor throughout with chandeliers and soft neutral tones, you can say I DO outside in the gardens or inside the function room which also transforms into your wedding reception and evening celebrations. The gardens are charming and will provide plenty of amazing backdrops for those all-important wedding photos. There is an events planner on hand to help plan your day from start to finish. Best Western Glendower Hotel is a stunning modern hotel and wedding venue that enjoys a beach setting. The exterior of the building in welcoming and this continues inside with beautiful décor and a friendly ambience. Whether is a small or large wedding this venue can cater for you. The outside space is perfect to be enjoyed by you and your guests, you will get plenty of memorable photos in the grounds and with the beach just a short walk away you can also make use of that backdrop. There is ample space for guests to stay in one of the beautifully decorated bedrooms. There is plenty of wedding packages to choose from depending on your budget and requirements. This venue is truly a remarkable place to say I DO in Lancashire, it enjoys a romantic setting with stunning gardens and a choice of function rooms. Avenham and Miller Parks offers you the choice of having your ceremony outside in the spectacular gardens or inside one the lovely decorated function rooms and then your wedding celebrations will continue in the function room which can cater for up to 120 guests. The gardens are outstanding and are why many people choose to get married here, they will be sure to create plenty of amazing wedding photos. There is an events team on hand to help plan your day from start to finish. Bartle Hall is a magnificent historic property that enjoys elegance, romance and tradition all under one roof. The exterior of the property is striking and this continues inside with traditional fixtures and fittings, each room is decorated with charm and warmth and with a choice of locations for your ceremony and reception you will be spoilt for choice. The gardens reflect the history of the property and are ideal for your drinks reception, guests to mingle and of course those all-important wedding photos. Get in touch with the on-site events planner bout booking your wedding at this lovely property. The Storey is a unique and inspiring wedding venue in Lancashire that will be sure to get your guests talking. The property with originally built in 1898 and has been transformed into a sought-after wedding venue. The high ceilings, large windows and traditional fixtures and fittings are beautiful and with neutral tones throughout you will be able to add your own decorations to create your dream wedding. You will be sure to create plenty of incredible wedding photos with a choice of backdrops inside and out. There is plenty of wedding packages to be discussed with the wedding planner that will suit your needs and requirements. This amazing Georgian building situated in Lancashire is truly a wonderful place to celebrate your special day. Eaves Hall is full of charm, character and romance and offers you plenty of choice for where your ceremony and reception can take place with each room being decorated in traditional charm and offering a warm and welcoming ambience. Whether it’s a small or large wedding this venue can cater for you. The gardens are amazing, with a choice of backdrops for your wedding photos. There is an events planner on hand to help plan your day from start to finish, get in touch today to book this stunning venue. Marine Hall is a fabulous 1930’s art deco inspired wedding venue in Lancashire that is a sought-after location to hold your wedding day celebrations. There is a choice of function rooms for your ceremony and reception to be held in, all enjoying the wonderful decor and can accommodate small or large weddings. The outside space is perfect to be enjoyed for your drinks reception, guests to mingle and your photo opportunities with the coastline as your backdrop. Get in touch with the on-site wedding planner about booking your wedding here. Brockholes Nature Reserve is set in 250 acres of parkland which creates a marvellous backdrop for your wedding celebrations. Brockholes Nature Reserve offers a romantic venue for your ceremony and reception, decorated in soft tones allowing you to add your own personal touches and surrounded by the spectacular backdrop, the room can accommodate small or large weddings. The nature reserve will be sure to create some magical wedding photos with a choice of superb backdrops to compliment them. Get in touch with the on-site wedding planner about having your wedding at this unique wedding venue. This wedding venue is a splendid place to hold your wedding day in Lancashire, with a traditional barn and uninterrupted countryside views you can see why it’s a popular place. The inside of the barn enjoys charm and tradition with oak beams, large windows and exposed brickwork creating a romantic setting for your special day. The grounds are breathtaking with countryside views as your backdrop, you will be sure to get many memorable wedding photos. There is plenty of wedding packages to choose from depending on your budget and requirements. This stunning wedding venue is great place to say I DO in Lancashire. The interior of this venue is simply stunning, with a marbled floor as your enter into the building to beautifully decorated rooms that are stylish and elegant. There are a number of function rooms to choose from for your ceremony and reception that can cater for up to 200 guests. The grounds are stunning and will capture some lovely wedding photos. There is also plenty of space for your guests to spend the night if they wish. With an experienced wedding planner and many wedding packages to choose from you will not be disappointed to have your wedding here. The Great Hall at Mains is a stunning contemporary wedding venue that is full of 16th Century features. This venue has a stunning backdrop that offers a truly romantic setting. The property is set on 4 acres of private land that has amazing views and a lovely backdrop for your wedding photos. The Great Hall can accommodate up to 120 guests for your ceremony and wedding breakfast and then 300 guests for your evening reception. You get exclusive hire of this lovely venue on your wedding day, making it a popular place to get married in Lancashire. There is a beautiful bridal suite to take advantage of and then a further 6 bedrooms. A venue that should not be missed. Sparth House is a beautiful Georgian manor house that is full of history and elegance and has been around since 1740. This venue offers exclusive hire making it the perfect place to have your wedding in Lancashire. The ceremony and function rooms are beautiful and offer excellent décor, elegance and romance. The grounds are stunning and with 3 acres to explore you will be sure to grab some amazing wedding photos. There is an events team on-site to help plan your day from start to finish and will be more than happy to discuss their various wedding packages with you. This venue is truly a fairy-tale wedding venue in Lancashire and you will not be disappointed to get married here. 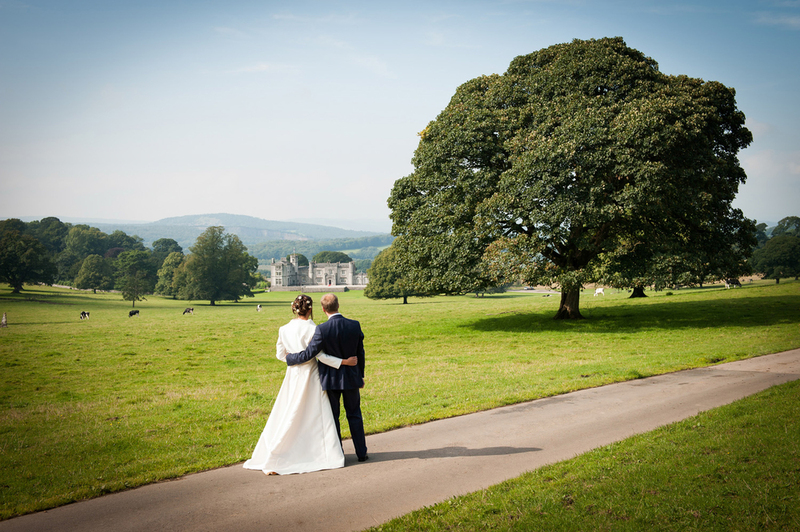 Leighton Hall offers an unusual venue that is full of towers, turrets and plenty of history plus you get exclusive use of the venue and grounds on your wedding day. There are 80 acres of grounds to be explored and perfect for photo opportunities. The interior of this venue is grand and elegant with stunning décor throughout. Leighton Hall can accommodate 80 guests for your ceremony and wedding breakfast and then 110 for your evening reception. You will fall in love with this venues natural beauty and its WOW factor as soon as you see the building, the perfect fairy-tale wedding venue in Lancashire. This wedding venue is one of the popular Lancashire venues to get married in and you can see why. This hotel offers everything all under one roof making it a perfect place to spend your entire wedding day. The function rooms are well decorated and are light, bright and modern, giving you a blank canvas for you to add your own decorations. The rooms vary in size and can accommodate from 80 – 200 guests. The gardens are award-winning and will certainly give you lots of stunning wedding photos and also can be enjoyed for your drinks reception. There are plenty of wedding packages, all offering something for everyone. This venue is a beautiful place that should not be missed. Stanley House is a beautiful 17th Century Manor house and is a sought-after wedding venue in Lancashire. This venue offers stunning décor, a touch of charm and wonderful grounds, the perfect place for your wedding day. There is a selection of rooms that are set up for your ceremony and reception and can accommodate small or large weddings. The 54 acres of grounds take in the countryside views and are very beautiful and will be wonderful for your drinks reception, your guests to mingle and also the very important wedding photos, which will be stunning at this venue. A venue that is remarkable and will not disappoint you. A stunning Grade II listed building that is full of charm and character and is the perfect wedding venue in Lancashire. This venue has a WOW factor and will have you and your guests in awe of its beauty. The décor is full of original features, with huge Saxon beams, high ceilings and a warm cosy atmosphere. There are hundreds of tiny fairy lights throughout creating a romantic ambience and then you can add as little or as many decorations as you please. The outside space is wonderful and has well looked after lawns perfect for a drinks reception and then is surrounded by fields and woodland which will be sure to give you some FAB wedding photos. Gibbon Bridge is a beautiful wedding venue that has stunning grounds and views of Ribbon Valley and offers gardens weddings and is a very popular place to get married in Lancashire. Your ceremony will take place in the Bandstand which takes advantage of the beautiful award-winning gardens and the views or you can use the Orangery for your ceremony and evening reception. For winter weddings you can make use of the Orangery or the function suite inside this lovely hotel. This venue is truly wonderful and you will not be disappointed to say I DO here. If you are looking for a garden wedding then this is the venue for you. Lancaster House is an impressive 4* Hotel in Lancashire that offers a FAB place to hold your wedding. The décor is beautiful and will not disappoint, there are two function suites for your ceremony and reception – The Dalton Suite and Bowland Suite, both are beautifully decorated and modern and can accommodate up to 140 guests. The grounds are well looked after and will give you plenty of lovely wedding photos, there is also courtyards that are perfect for your drinks reception and also another opportunity for photos. A wedding venue that should not be overlooked. If you are looking for a unique wedding venue in Lancashire then this is the perfect place for you. Ashton Memorial is a stunning venue that offers spectacular views of Morecambe Bay and the Lake District. The interior is stunning with marble floors and sweeping staircases, it can accommodate up to 140 guests for your ceremony that takes place on the ground floor. After your ceremony, you can then have canapés and a drinks reception if you require before moving to your reception venue. You will be sure to capture some amazing wedding photos at this venue, with the countryside and Aston Memorial as your backdrop. Click here to discover the best wedding venues Lancashire has to offer!